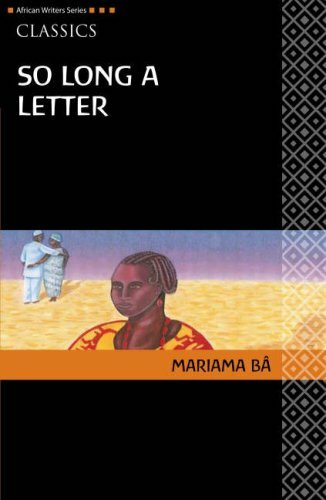 So Long a Letter by Mariama Bâ: So Long a Letter is an epistolary novel written in the voice of Ramatoulaye, a Senegalese school teacher. Addressed to her best friend Aissatou, the letters chronicle Ramatoulaye’s emotional journey after her husband’s second marriage and his unexpected death. Considered a classic of contemporary African women’s literature, So Long a Letter is a must-read for anyone interested in African literature and the passage from colonialism to modernism in a Muslim country. A Bit of Difference by Sefi Atta: Using the life of Deola Bello, a single auditor working for a British charity, Atta explores everything from Western perceptions of Africa and African women, to the contradictions inherent in social expectations for women and their abilities to meet, ignore, or defy set expectations. Purple Hibiscus by Chimamanda Ngozi Adichie: Fifteen-year-old Kambili and her older brother Jaja lead a privileged life in Enugu, Nigeria. They live in a beautiful house, with a caring family, and attend an exclusive missionary school. They’re completely shielded from the troubles of the world. Yet, as Kambili reveals in her tender-voiced account, things are less perfect than they appear. Maru by Bessie Head: A moving and magical tale of an orphaned girl, Margaret Cadmore, who goes to teach in a remote village in Botswana where her own people are kept as slaves. Her presence polarizes a community that does not see her people as human, and condemns her to the lonely life of an outcast. In the love story and intrigue that follows Head brilliantly combines a portrait of loneliness with a rich affirmation of the mystery and spirituality of life. 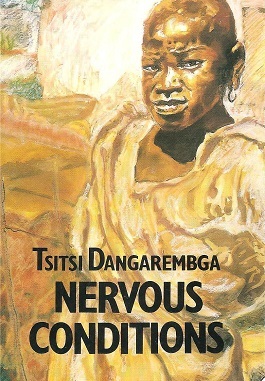 Nervous Conditions by Tsitsi Dangarembga: This stunning first novel, set in colonial Rhodesia during the 1960s, centers on the coming of age of a teenage girl, Tambu, and her British-educated cousin Nyasha. Tambu, who yearns to be free of the constraints of her rural village, especially the predetermined lives of women, thinks her dreams have come true when her wealthy uncle offers to sponsor her education. But she soon learns that the education she receives at his mission school comes with a price. July’s People by Nadine Godimer: Set against a fictional civil war during the aparatheid in South Africa, Godimer’s second novel covers a middle-class family of white liberals in South Africa fleeing the horrors of a large scale revolution started by blacks who then find safety in their black servant’s village. I have read only two of them. Still a long way to go! I read Bessie Head and Bâ. Both awesome ones to have read! If you read any of the others, let us know how you got on with them! Hopefully you will find the other on my blog one day. Long time ago I read Rebecca Njau, very good. Reblogged this on Brokenseeds's Blog. Hmmm I’m going to have to give July’s People a chance again. a bit of difference is in my current TBR. Excellent choices. I love Purple Hibiscus. It was the first book by Chimamanda Adichie that I read and I’ve fallen in love with her ever since.